Are you interested in pursuing a career in Rail Industry? 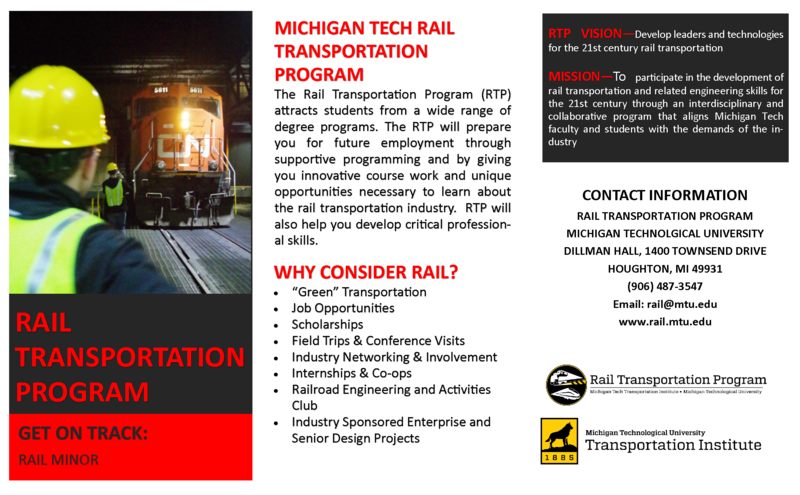 Michigan Tech is now offering a Minor in Rail Transportation Engineering! 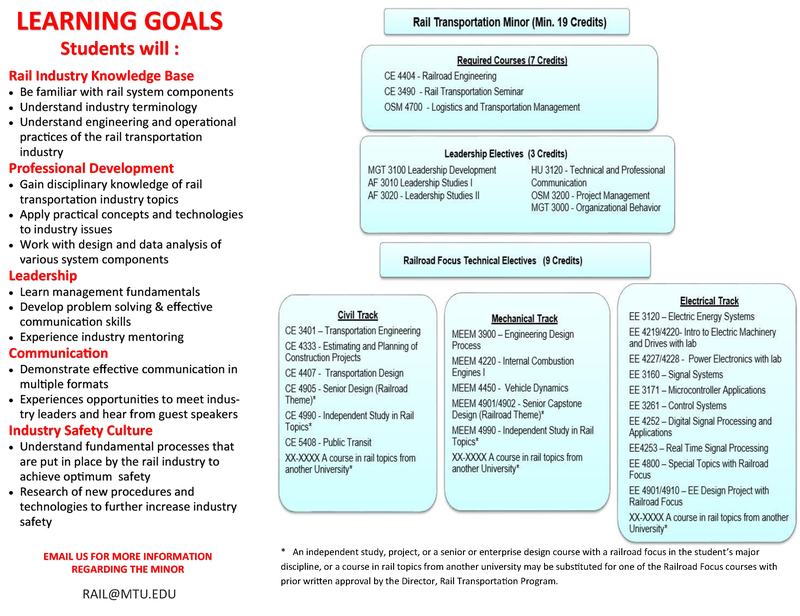 The new minor is targeted to Undergraduate and Graduate students with interests in the rail transportation industry, with a mix of discipline specific and multi-disciplinary class requirements. The program provides students with the basic skills and background necessary to rapidly become effective specialists and leaders in the railroad industry. In addition to courses geared specifically towards the rail industry and engineering, students also learn logistics, management, leadership, and communications skills to meet the demands of rail industry careers. Railroads are looking for graduates with versatile skills, who can become effective engineers, managers and team leaders in various company positions, and understand the requirements placed by the industry on its professional staff. This minor assists students in preparing to meet the needs of the railroad transportation industry for years to come! Below you'll find more details about the program - click the images to download as PDFs.